During a summer marketing internship that I had during college, I met a hilarious, warm-hearted, and hard-working chick named Rachel. We were on the same team and instantly became best buds. Rachel and I often chatted about her boyfriend, Austin, who she described as kind and funny and the one. Later that summer, Rachel went on her family’s annual fishing trip in Canada, and of course, she brought along Austin. EVERYONE in the office had their suspicions that she’d come back with a ring on her finger, and indeed she did! It was such an exciting time! 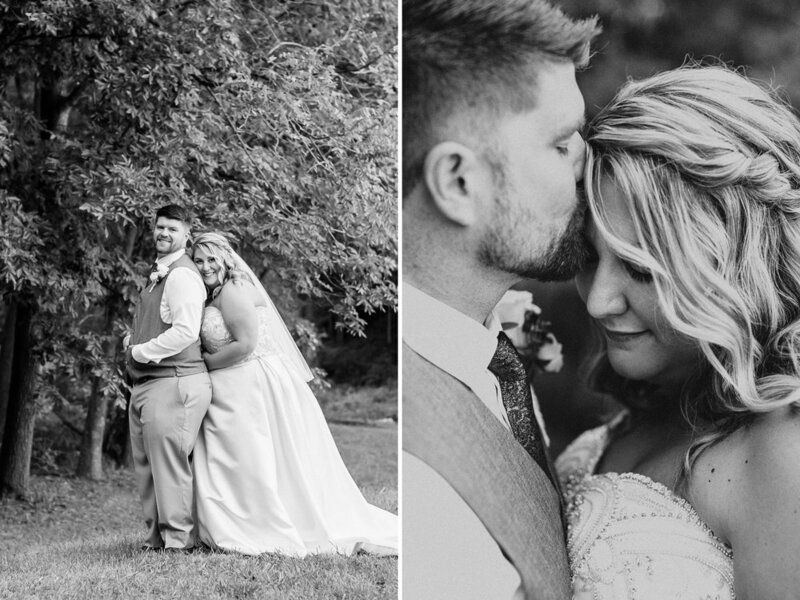 Over the past year, it has been so much fun for me to get to know Rachel & Austin’s family and friends, hear about their wedding day plans, and see their relationship blossom into a marriage. Rachel & Austin’s October backyard wedding was SUCH a beautiful celebration and an complete honor to be a part of! Have I mentioned how much I adore father/daughter first looks? I have?! Well, I’ll say it again! I LOVE THEM! Rachel looked exquisite in her white jeweled gown surrounded by different colored bridesmaid dresses and bundles of flowers in pink and red hues. I also love how they chose mismatched vests for the guys! Rachel & Austin’s ceremony was the most breathtaking backyard set-up that I had ever seen. Quilts passed down through generations decked hay bales that served as pews and baby’s breath in mason jars lined the aisle. Austin & his brothers built the gazebo that the pair said their vows underneath and the service even included a tree planting ceremony! And finally, they were Mr. & Mrs. McKinney! Greenery, candles, string lights, and rustic details tied together the reception decor. Every piece was thoughtfully planned and placed, creating the most beautiful ambiance for the white rent celebration. Both the McKinney and Wise families are close-knit and the entire night was filled with so much love and emotion. When we weren’t stuffing our faces full of Mexican food (omg SO good) or cracking up at the toasts, we were bustin’ moves on the dance floor! 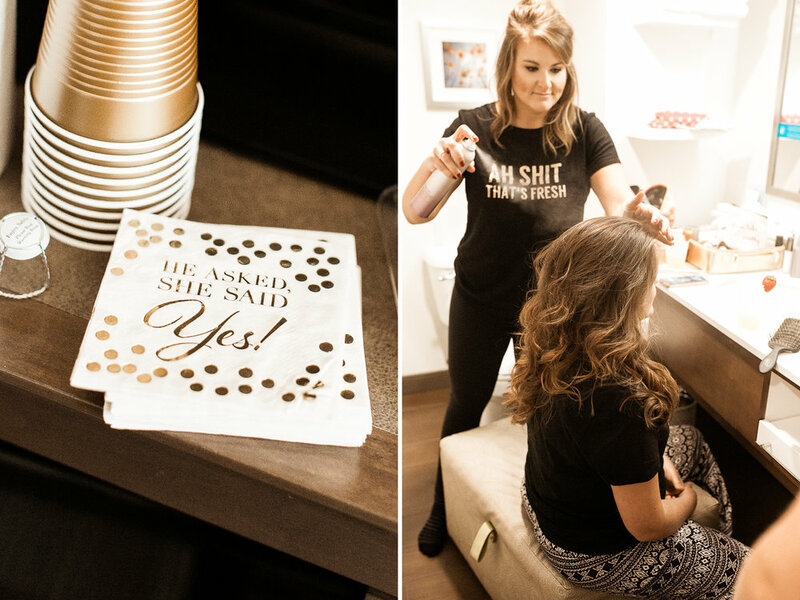 In summary, Rachel & Austin know how to throw one heck of a party! Rachel, I’m so happy that the our paths crossed allowing us to become friends and I’m even more ecstatic that you’ve found your soulmate in Austin. You two are the best and deserve the world! Congratulations on becoming Mr. & Mrs. McKinney!